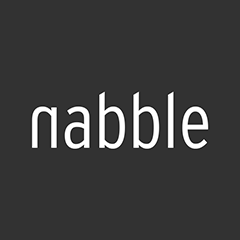 Nabble is a small web studio from Utrecht, and we're proud to work for a wide range of colorful organisations, brands and products. For us, each project is unique and requires a design approach and techniques specially selected for the job. Think simple informative websites to extensive business applications. Think apps and online services automation. As a small agency, we make sure your project gets all the attention it needs, right from the start. Building a website or web application requires a detailed examination of your actual needs and wishes, and those of your target audience, in order for the end product to really stand out and fit your requirements. Once the requirements are established, the next step is a detailed design, optionally split in a wireframes, visual composition and prototype phase. Of course you've got an important say in how much detail we actually need in this step. What follows is the actual development process, which you can follow closely on our private development environment in the cloud. By default, we develop for the most common browsers and devices. If you have any special requests, please let us know in advance. Most projects use our in-house developed Ajde CMS, which contains everything needed for conveniently managing most informative websites. We have extensive experience with WordPress, but generally we don't recommend this setup for security and usability reasons. For more complex projects, we generally develop a custom-build platform based on well-known frameworks such as Laravel. Because a web project is a dynamic product (its environment is constantly evolving in a fast pace), we offer a custom-fit solution for hosting, domain management, support and further development, following the launch of your website. Please contact us for more information, we'd be glad to discuss your ideas, project or proposition anytime. Hi, we’re a web studio from Utrecht. Contact How can we help you?